So anyone else on my side of the world knows that Tropical Cyclone Marcia is sending the rain our way and in my little part of the world, that makes for some perfect crafting weather. So I'm catching up on my 2015 album. Now I have recently started PLing weeks as well as my usual events- how do I do both you ask? Well I mix and match and go with what works. So while I have a week 1 & 2 in my album,I will have this spread instead of a week 3. Make sense? Works for me :) so I'm happy. 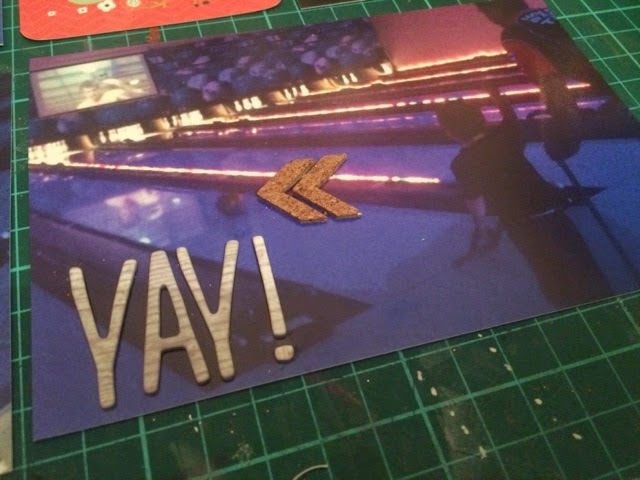 This layout was of my 2 boys- well 3 if you include the husband, bowling. 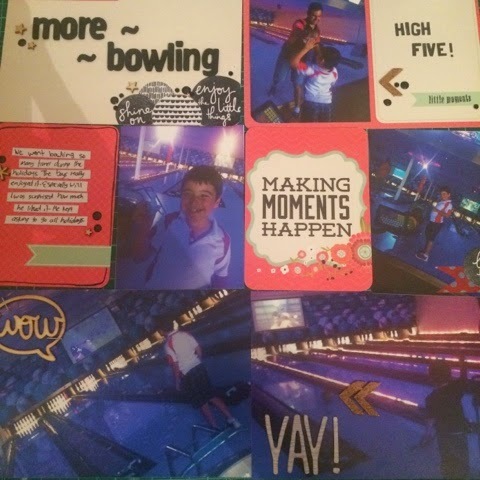 My boys love bowling, even my youngest who usually doesn't like anything lol. All that is missing is the date. 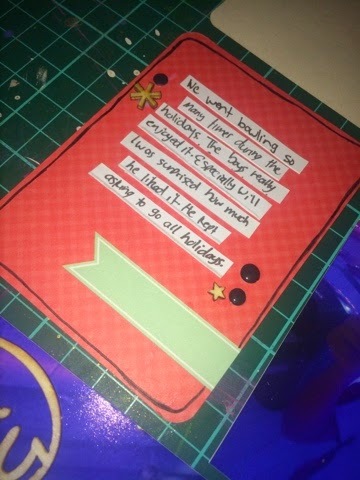 I like the look of journaling/embellishing straight onto the photo. Doing it a lot more lately.